Located on a sugar farm and set amongst magnificent old trees the estate offers private function facilities that are exclusively yours for your special day. Panoramic views of undulating sugar fields are complemented by the warm ‘family’ hospitality of the staff at the estate. 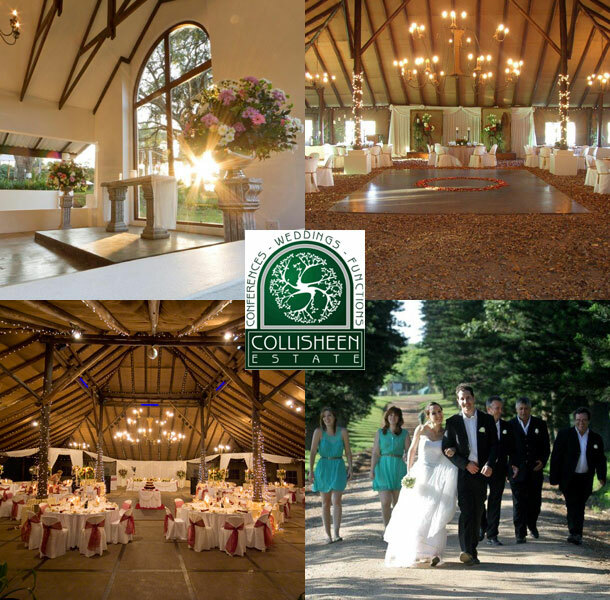 Thirty minutes from central Durban and an arm’s length from Ballito, Collisheen offers the perfect venue for weddings. 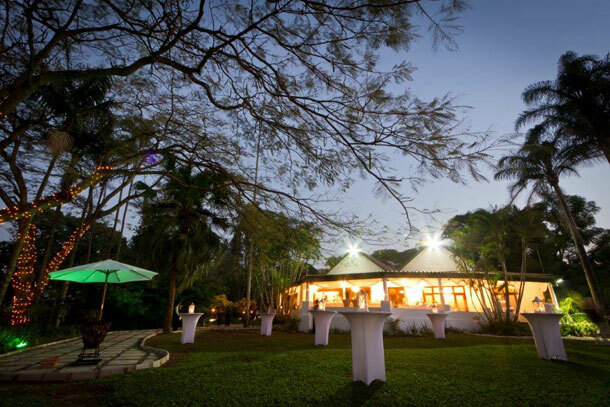 The Boma, our larger venue, is a 400metre² open sided building which can accommodate up to 400 people with a dance floor and a stage, and is set in beautiful gardens which, at night, are transformed into a fairyland with lights in the trees. A private chapel, water feature and chunky pole, plinth and thatch like structure, surrounded by seemingly endless space, give you a real feel of Africa. Orchid House, our new venue is the most wonderful setting for a charming and more intimate wedding, party, function or conference, complete with a newly built Chapel that finishes the white colonial theme of the venue beautifully. Set in a 100 year old garden, the magnificent trees, draped with lights also transform this venue into an evening wonderland. Secure parking, state of the art kitchen and excellent staff are just some of the factors that will ensure your Collisheen experience to be peaceful, private, professional and perfect. We have three double rooms on site which are available for wedding or conference guests only. Alternatively there are plenty of B&Bs and hotels in Ballito. Regret, we no longer recommend this venue. Ive been to a wedding at Collisheen – beautiful venue!